Last weekend our family took a road trip to the Kansas City area for a Oxbow Animal Health sponsored small mammal veterinary conference. Is there anything about that sentence that you do NOT love?? ME NEITHER!! We arrived at the Crown Center Mall, and I remembered that it was Christmas time in Kansas City and remembered also that I do not like being crowded. So Russ, having been in that exact situation with me many times (me whispering, “I didn’t realize it would be so crowded, and I just remembered I don’t like being crowded!”) directed us to the one uncrowded corner of the entire mall, which had this awesome gingerbread village in it! How was that spot not crowded?? It was one of the coolest things I have ever seen! I said as much on Facebook, and Brendan Howard, who I think lives somewhere near the gingerbread village but was in California bossing people at The Central Veterinary Conference, said, “Why are you visiting KC when I am not there?” even though he had JUST done that to ME by visiting Omaha over Thanksgiving when I was not home. I said I would stand still while we tried to end up in the same city, but I got distracted by the Crayola Store and wandered off. It happens. Also, I got a new coloring book. That evening, our family went to dinner with Dr. JC Burcham and her family. 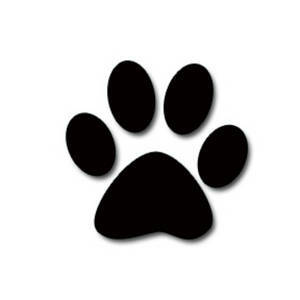 Dr. Burcham is a veterinarian at Mariposa Veterinary Wellness Center, and we have been friends online for a few years. We both like writing, reading and pets, including the weird ones, so that has been fun. I finally got to meet my friend, who up until that very moment, I had no proof was even real. She is. And as nice as I suspected. So is her family. THAT was my favorite part of the whole trip. I was drunk with the anticipation of our next adventure. I had not actually had any alcohol at dinner, but we had just spent the evening with wonderful people, there was a tiny bit of snow swirling in the parking lot outside of the restaurant and we were going to look at CHRISTMAS LIGHTS! That combination has the same effect on me as alcohol. So I was in a pretty good mood and feeling a bit more extroverted than normal when we came to a yard filled completely with PENGUINS. I HAD to show my brother. I HAD to show the author of the awesome blog, I Miss You When I Blink. So I did. And SHE asked, “Do you know anyone who would be a good date for Liam?” perhaps assuming from my pictures that I knew hundreds of penguins, which I actually do not. But I found this cute penguin, and from what I have heard, she and Liam may hit it off. CLICK HERE TO SEE THE CUTE PENGUIN! If you are keeping track, Story #3 includes: my brother Dave, who I know is real, the wildly creative author of a very fun blog, who I assume is real but cannot prove, a cartoon penguin and a real penguin, who may or may not be dating. Most of my friends, as far as I know, are real. Dr. JC Burcham and I got to sit together at the meeting. I tweeted things like “I am with Dr. Burcham at this conference!” and drew cartoons of hamsters with IV catheters, which one of the presenters said was actually possible, and I found amusing, and JC learned important things. So between us, we picked up some good information. I met some other veterinarians and caught up with Dr. Micah Kohles, the Oxbow veterinarian, and got to say hi to the other two Omaha veterinarians there. You would think there would be one hundred twenty Omaha veterinarians there, wouldn’t you? They were talking about bunnies for goodness’ sake! Weird. But nonetheless, very, very fun. All in all, my favorite weekend of the Christmas season so far. May your life be filled to the top with friends of every kind. Russ and Amanda and Abby and I went to Kansas City last week to go to Lego Land learn stuff. Well, I went to learn stuff. Also, we went to Lego Land which was awesome. The girls had to tell Russ and me it was time to go at the end of the afternoon. You know that sound Legos make when you are mixing them to find a blue 2X4 brick? Yeah, that is what I was not quite ready to leave. But we did, and I went to CVC, which was as awesome in a grown up sort of way. Central Veterinary Conference is a veterinary conference done by Advanstar three times a year. They publish Veterinary Economics and other journals-I-love and have the website dvm360. I played with Legos. I know I already said that one. I just wanted to give you context for how awesome the things on my things that were awesome in KC list is. I met Dr. Andy Roark. I met Dr. Dave Nicol. I learned about feline hyperaldosteronism. (Summary: If cats accidentally make too much aldosterone, it makes them feel like crap. Also, it’s treatable.) I feel like if I can get my head around weird medical conditions, I can probably figure out the less weird things too. It gave me hope. Like I could walk into any exam room with any lethargic kitty and confidently hold his paw from diagnosis through treatment. I went to my first Veterinary Economics Editorial Advisory Board Meeting. You know those guys in the little squares by the articles in journals? And the editor names in the list at the front of the journals? Did you know that they are REAL PEOPLE? They are! I got to meet them in Real Life. And they are super nice. I only walked into a crowded room and right back out twice in four days. And I walked back in both times. Yay me. I am a grown up. Well, maybe not. But I do think I should get another “I’m a winner” sticker. I have a list of EIGHT more books to read! Woo! And I bought two veterinary books – one on exotic pets and also the most recent edition of Plumb’s Veterinary Drug Handbook. Loving that book does not make me a nerd. I was already a nerd, and that is why I love that book so. Be glad that I am. It is good for your pets! I came back refreshed and excited about medicine and exited about how social media and veterinary medicine can be friends. They can, and they are, they just don’t know each other very well yet. I feel as though I have more tools to work on that this coming year, especially after spending time with Dr. Roark and Dr. Nicol and the dvm360 group. This is going to be fun, people! Very, very fun week, and I am already looking forward to next year. Russ and I were planning a trip to New York City for our friends’ wedding the week before last. A big, scary city is big and scary enough without a big, scary hurricaine coming too. Right after New York, we were heading to Central Veterinary Conference in Kansas City. Russ called me at work. “We can’t go! Irene is coming!” he said. “I will see you when I get home from the trip!” I said. I can be a jerk like that. When I got home from work that night, we agreed that we could not miss Debbie and Chuck’s wedding. We had been looking forward to this NYC/KC trip for months. We called the bride and groom and told them we would be there. I completely wore out my Central Veterinary Conference (CVC) itinerary choosing and rechoosing classes for CVC. At one point, I had five classes planned for one hour. One of the two aspects of CVC I was most excited about was spending time with my vet tech friend, Erika. We were going to happy hour at the Melting Pot on Sunday night. Also, Erika had checked with the CVC bosses, and they would let us go to tech or vet sessions together on Monday. Yay. The other aspect of CVC I was most excited about was meeting three of the editors of dvm360 – Jessica (dvm360), Kristi (Veterinary Economics) and Kerry (Firstline), also on Sunday evening. We were going to talk about the new dvm360 iPad app. I really just wanted to be where they were for an hour, and if we talked about the iPad app (which is GREAT, btw), that was fine with me. If you knew how much I love Erika (and the Melting Pot) I could better explain how equally awesome meeting the dvm360 editors was going to be. I had been looking forward to meeting these women someday since I first started corresponding with them online and writing articles for dvm360 over a year ago. These women are smart, successful leaders in the veterinary writing profession, and I was finally going to meet them in person! We drove to KC. We had to take the pretty route because of all the recent flooding. Russ and I sat in the KC airport waiting for our flight to New York. To our left were flashing “Welcome to KC CVC Veterinary Teams!” signs. To our right were televisions showing the worst of Hurricaine Irene and predicting doom for NYC and other eastern US cities. I looked at Russ. “We could just stay…” I said. “No, you were right,” he said, “and…our plane is boarding!” We flew off to meet our friends and Irene. Both airports, the entire NYC subway, most NYC cabs and most businesses announced they would be closed on Sunday. Mandatory evacuation was scheduled by noon on Sunday for low-lying areas of NYC. We were in Brooklyn, so we were (probably) in a safe part of town. We went to a convenience store to buy storm snacks. I took a picture of The Statue of Liberty on the wall of the store. Fellow line dwellers giggled. “It’s our first time here.” I said. “I really wanted to see it.” I do not often generalize, but I will say that even in emergency preparation mode, with a hurricaine coming, which is as unknown to a New Yorker as it is to an Omahan, New Yorkers are kind. We went to the wedding at Debbie and Chuck’s church. Everything about the wedding was beautiful. Sunday’s church service is cancelled. Saturday’s wedding is not! I woke up at 4:00 am to what sounded like a really bad Nebraska thunderstorm. It came and went pretty quickly. Russ and I walked around Brooklyn. “NYC is not crowded. It’s empty!” I said. “Ha!” Russ said. We spent time with Chuck and Debbie’s families and their other friends, which we would not have otherwise been able to do. Twice we had paused, and twice we had decided to move ahead. When all is said and done, I am so grateful we were able to be with Chuck and Debbie for their wedding. It will always be one of my very best memories. Russ and I walked around some more. Chuck and Debbie flew off to their honeymoon. We flew to KC. We checked into our hotel super late at night and fell right asleep. I went to a series of four morning cat lectures by Andrew Specht, DVM, DACVIM. They were so good. We left before they could start taking down the CVC banners and balloons. I still have not unpacked everything. I hate that figure of speech, but I suppose it fits. I will post wedding pictures and more NYC pictures tomorrow. Debbie and Chuck, we love you. We would fly into a hurricaine for you all over again. Thank you for including us in your beautiful wedding day. Karen and Phill, thank you for keeping our babies safe. We would have been complete wrecks if they had been in New York city with us. Jeff and Lu, thank you for keeping our fur babies safe. Erika-Friend, what are you doing this time next year?